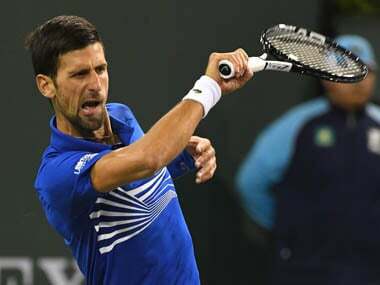 Indian Wells: World number one Novak Djokovic shook off a nervy start to dispatch US qualifier Bjorn Fratangelo in straight sets Saturday to reach the third round of the ATP Indian Wells Masters. He broke back as Fratangelo served for the set to knot it at 5-5, and then raced to a 4-1 lead in the tiebreaker. Djokovic had to dig deep, however, when Fratangelo battled back to lead the tiebreaker 5-4. "I haven't competed for over five weeks. I was a bit rusty in the first set. I was kind of waiting for him to do something with the ball rather than doing it myself. I was lucky to get the first set. 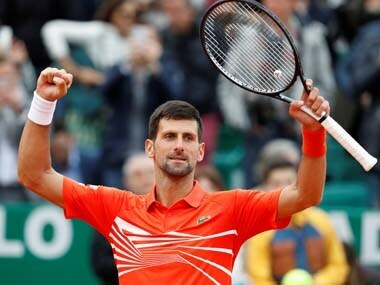 After that, things went better for me," added Djokovic, who loped over to share a word with US great Pete Sampras in the stands after wrapping up the victory in one hour and 29 minutes. "I didn't really have a problem getting up. I just didn't play well today. He's an incredible competitor," Kyrgios said, adding, "he knows how to win tennis matches." Action opened on stadium court with 18-year-old Canadian Felix Auger-Aliassime powering past Greece's Stefanos Tsitsipas, 6-4, 6-2, for his first win over a top-10 player. In a battle of two ATP young guns, 58th-ranked Auger-Aliassime came out firing, and his aggression paid off with a victory over 20-year-old Tsitsipas, who shot to prominence with a victory over Federer at the Australian Open. 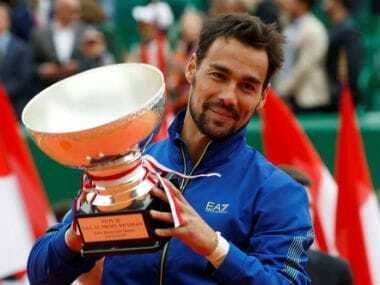 He moved into the top 10 for the first time with his runner-up finish to Federer in Dubai, where the Swiss great claimed a remarkable 100th career title. But Tsitsipas could find no answer to Auger-Aliassime, who broke early in the first to gain the upper hand and seized a 2-1 lead with the first of two breaks in the second. Auger-Aliassime saved all seven break points he faced — six of them in the first set. "It's unbelievable. I never expected to play that well today, to get my first top-10 win is special, against Stefanos who has been playing so well," Auger-Aliassime said. Auger-Aliassime, who next faces Japan's Yoshihito Nishioka, is one of four teens in the draw, along with countryman Denis Shapovalov, Alexei Popyrin and lucky loser Miomir Kecmanovic. Kecmanovic gained entry into the second round in place of injured fifth-seed Kevin Anderson. 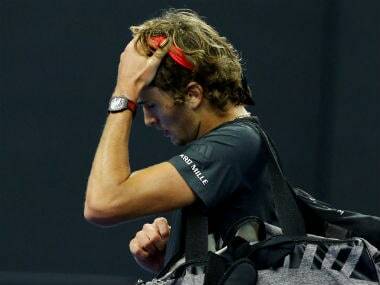 He made the most of his chance, beating Germany's Maximilian Marterer, 6-3, 6-2, to reach the third round. At the other end of the age spectrum, 40-year-old Ivo Karlovic advanced with a 6-4, 7-6 (7/4) victory over 11th-seeded Croatian Borna Coric.